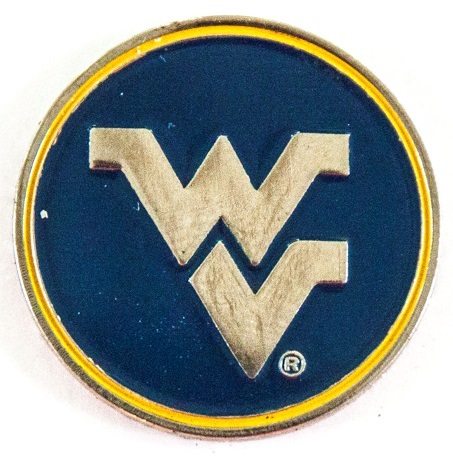 TRINITY, Texas (April 30, 2016) – Alan Cooke and Max Sear each finished under par as the West Virginia University golf team made up ground in the third round of the 2016 Big 12 Golf Championship at Whispering Pines Golf Club in Trinity, Texas, on Saturday afternoon. Despite a lengthy delay due to inclement weather, the Mountaineers golf team used the ensuing beautiful weather to turn in their sixth-best round of the season, shooting a 289 to finish one over par. WVU golf remains in tenth place with a three-round team score of 311-314-289=914 for 50 over par but has pulled within five strokes of Iowa State (9th, 909) and within nine strokes of No. 41 Kansas (8th, 905). No. 1 Texas remains atop the team leaderboard with a score of 865 for one over par, followed by No. 6 Oklahoma State in second at eight over with an 872. No. 45 Texas Tech is in third with a score of 874 for 10 over par. Carrying his momentum from Friday into the third round, Max Sear finished one under par with a 71 to move up two more spots in the standings. Starting on No. 10, Sear birdied three of his first nine holes to head into the turn two under par. Despite a bogey and a double-bogey on the front nine, Sear added two more birdies to his tally and sits tied for 19th place with a three-round score of 79-74-71=224 for eight over par. Alan Cooke posted WVU’s best score of the day at two under par with a 70. Cooke overcame a pair of early bogeys by recording birdies on four of his final nine holes, moving up two spots in the player leaderboard into a tie for 44th at 17 over par with a 79-84-70=233. Easton Renwick his tied for 38th place after carding a three-round score of 77-79-75=231 for 15 over par. The senior captain registered a pair of birdies and a pair of bogeys on the back nine for even par at the turn, but struggled on No. 3 and 4 before making par on his last five holes. He ended the round three over. Chris Williams enters the final day in 47th place at 18 over par. He birdied three holes in the third round to finish two over par, and has a three-round score of 83-77-74=234. The Mountaineers head into the fourth and final round on Sunday, starting at 10:07 a.m. ET with Nicholls. Williams will tee off at 10:16, followed by Cooke at 10:25, and Renwick at 10:34. Sear will finish things out with a 10:43 start time. West Virginia will once again be paired with Iowa State.